Explore the seemingly impossible relationship between two beings that are fundamentally different. 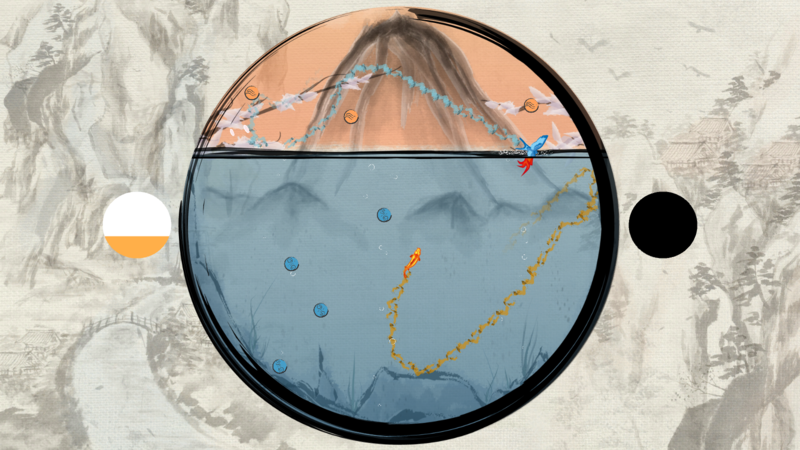 A local multiplayer game for 2 players, in which you are sharing a controller with a friend to control a fish and a bird. When flying through the air or swimming through the sea you generate a current which you can use to build up your speed. If you are fast enough you can try to jump out of your habitat and catch the other animal. By collecting orbs you can alter the sea level to your advantage. This game was developed for Game Makers Toolkit Jam and was selected as on of 20 featured games out of 764 total entries. Check it out on itch.io if you are interested!